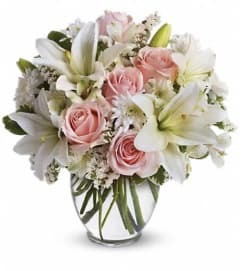 Imagine her joy when she opens the door and sees this incredible array of roses, lilies and other favorites in an elegant pink reflections vase. She'll be talking about it for weeks. 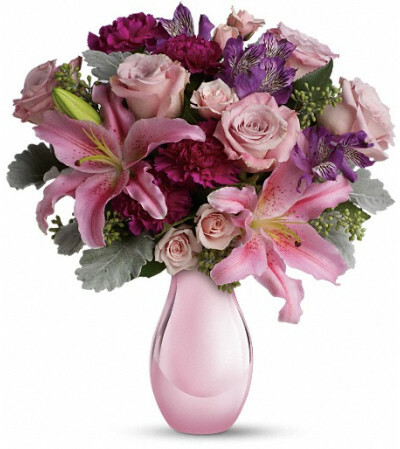 The exquisite bouquet includes pink roses, light pink spray roses, light pink oriental lilies, purple alstroemeria and fuchsia carnations accented with assorted greenery. 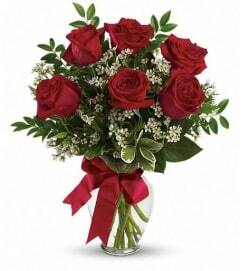 Delivered in Teleflora's exclusive pink reflections vase.